With the help of Edgar, her ever observant cat and companion, Milly starts to put together clues that may lead to Davina, or to her killer. Wanting only to find out the truth about what happened to Davina, her friend, and surrogate mother, Milly sets out to find the truth. But can she get to the truth before the assailant gets to her? 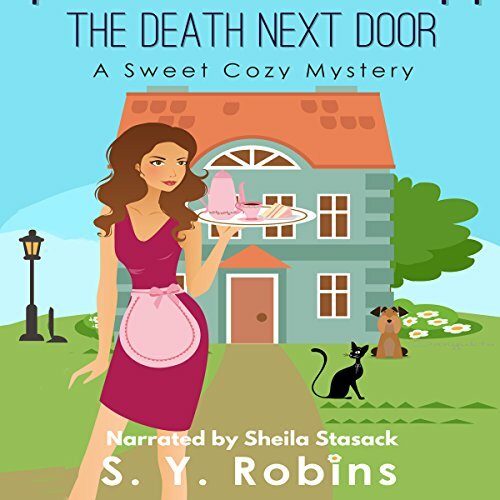 Coping with a snarky detective, few clues, and trying to run her business, Milly may be in over her head. Through persistence and a need to know what happened to Davina, Milly starts to find clues but is the suspect Davina's boyfriend; Callum, Davina's shop helper and Milly's crush; or the unknown boyfriend Milly had only just found out about? With a cast of suspects to choose from, Milly isn't sure who to look at first, but she has to find the real suspect before they find her - that's the one thing she does know.